Woltz Team – Woltz & Associates, Inc.
Owner-President, Woltz & Associates Inc. Licensed in Alabama, Colorado, Florida, Georgia, Indiana, Kentucky, Louisiana, Mississippi, North Carolina, Ohio, Oklahoma, South Carolina, Tennessee, Utah, Virginia, West Virginia. One of three people who have received the distinguished Richard Dewees Memorial Award from the National Association of REALTORS for outstanding service in the real estate auction industry. David Boush joined the Woltz Team in 2010. 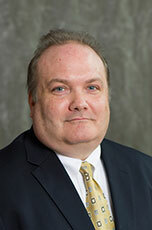 He holds an Associate Broker license in Virginia and auctioneer licenses in Virginia and West Virginia. In addition to his real estate career, he also has over 14 years of advertising and marketing experience in sales and management prior to joining Woltz. He spent over 8 years as an Account Executive and Local Sales Manager for WSLS-TV/NBC. He most recently left Acquisition Title & Settlement Inc after 6 years as Vice President of Marketing. He has had his Real Estate license since 2002 and has been an active real estate investor for the last fifteen years. David has been a lifetime resident of Roanoke, Virginia. Since joining Woltz, David has conducted several land, estate, residential, commercial, industrial and personal property sales, by listing and auction. Volunteer Work: Committee Chair of the Awareness Committee for Feeding America SWVA. Will Farmer joined the Woltz team in 2002, after graduating from Roanoke College with a degree in Business Administration. Born and raised in Radford, Virginia, Will grew up around the exciting hum of the auction chant at his Father’s auctions. Growing up in the industry has given Will a unique perspective on what it takes to successfully market and sell property at auction. He currently holds active Real Estate and Auctioneers licenses in the State of Virginia. In 2006, Will was awarded the prestigious Certified Auctioneers Institute (CAI) designation, which is the highest achievement awarded to members of the National Auctioneers Association. Will specializes in Residential, Commercial, Rural, & Business Liquidation Auctions. His most recent auctions have included Commercial Buildings & Acreage, Agricultural Boundaries, & Residential properties located within the State of Virginia. He is a member of the National Association of Realtors and currently serves on the Public Relations Committee for the Roanoke Valley Association of Realtors. A Licensed Real Estate Broker in Colorado and Virginia, with 13 years of experience in client relations, land development, management, marketing, recruiting, sales, and training. 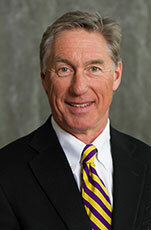 Past Director of a prominent real estate school in Greenwood Village, Colorado. In 2002 she moved to Roanoke, and was for the past 5 years, the broker and project manager of a residential development prior to joining the Woltz team in 2008. Current member of the National Association of REALTORS. Sales Experience: Since joining Woltz & Associates, Inc. (“Woltz”) in 1997, Ms. McGraw has conducted numerous complex auctions including multi-parcel sales of commercial, investment, industrial, rural and residential properties, as well as foreclosure auctions, bankruptcy sales, estate sales and tax sales for governmental entities. She has also conducted business liquidation sales and auctions of large farms, including horse farms. Ms. McGraw has received both state and national advertising awards for auction marketing materials. 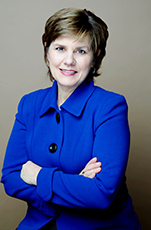 During the ten years prior to joining Woltz, Ms. McGraw practiced law in Roanoke, Virginia. Professional Activities: Ms. McGraw served two terms on the Virginia State Bar Bankruptcy Section Board of Governors and was the first Chairperson of the Section. She was appointed to two terms on the Virginia State Bar Council, the governing body of the Virginia State Bar. 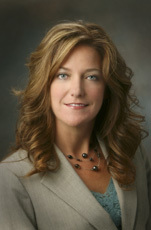 More recently, she served two terms on the Roanoke Valley Association of REALTORS (“RVAR”) Board of Directors, was Chair of the RVAR Advertising Committee, Chair of the RVAR Public Relations Committee, Chair of the RVAR Commercial Council and Chair of the RVAR Grievance Committee which reviews allegations of REALTOR ethical violations. Memberships: Ms McGraw is a member of the Virginia State Bar, Roanoke Bar Association, Virginia Auctioneers Association, National Auctioneers Association, Roanoke Valley Association of REALTORS, New River Valley Association of REALTORS, Virginia Association of REALTORS and the National Association of REALTORS. Licenses: Ms. McGraw is licensed as an auctioneer in Virginia, North Carolina, Tennessee and West Virginia, as a real estate broker in Virginia and Tennessee, and as an attorney in Virginia. Education: J.D., Marshall-Wythe School of Law, College of William & Mary, 1985; B.S., Radford University, 1980; Graduate, Missouri Auction School, 1997; Graduate, Moseley-Dickinson Academy of Real Estate, 1997; Numerous legal, auction and real estate continuing education courses both as attendee and lecturer. Member – National Association of Realtors, Virginia Association of Realtors, National Auctioneer Association, Virginia Auctioneer Association. 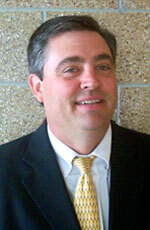 Russell Seneff, has been a member of the Woltz Team for 17 years. 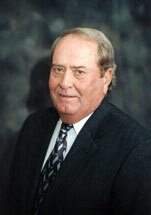 Russell has been a licensed auctioneer since 1988 and a licensed real estate agent since 2001. Russell received his Virginia Brokers license in 2015. Russell is a licensed real estate Broker/ Sales Person in Virginia, North Carolina, West Virginia, Tennessee, Colorado and Illinois. He is a licensed auctioneer in the aforementioned states as well as Florida. He has been involved with numerous large auctions in all of these states over the past few years. He holds a Bachelor Degree in Agriculture with a minor in Business Administration. Boyd has been in commercial real estate sales since 1989, an auctioneer since 1992, and joined Woltz & Associates, Inc in 1992. 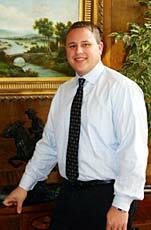 He holds auctioneer and Associate Broker licenses in Virginia and West Virginia. He received the Accredited Auctioneer of Real Estate (AARE) designation in 1995 and received the prestigious Certified Auctioneer Institute (CAI) designation in 2004. He invented the sign system “slamAsign” used by real estate professionals and auctioneers in numerous states and has obtained a patent for the design and product. Mr. Temple has sold numerous commercial and industrial properties, large land boundaries, farms, residential properties and a wide variety of machinery, equipment and personal property. Reaves Ward joined the Woltz Team in February, 2019 and holds an active Real Estate License in Virginia. 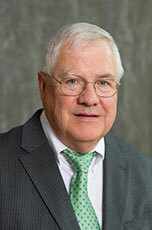 With a Bachelor of Arts degree from Hampden-Sydney College and post-graduate studies in business administration, Reaves has professional experience as Territory Sales Manager for heavy construction and municipal equipment, as CCTV operator in digital inspection of construction infrastructure and as Technical Team Lead for outdoor equipment sales. An avid sportsman, he has received awards in Outdoor Leadership and Citizenship, and has planned and directed fishing excursions in an educational environment. Reaves grew up on a small farm in rural Franklin County, Virginia where he learned hunting skills and developed a unique appreciation for land and the environment. Graduated from Roanoke College with a Bachelor of Business Administration (BBA) degree. Worked in commercial and private banking for 12 years before joining Woltz & Associates, Inc. in 2004. Specialty: Desktop pre-press work and computer networking; 23 years experience. Joined Woltz & Associates, Inc. in 2000.